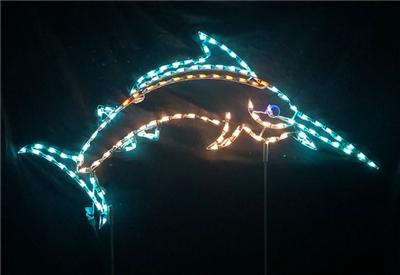 Brightly colored Marlin a great addition to your nautical themed display. Marlin measures 34"T x 57" W (with out stand) Measurements with stand attached 53" Tall by 57" Wide. This 1/4" round steel frame is lit with LED M5 Mini Flex Change lights.